Welcome Back to Technical Integrity for the 9th year of sponsoring BSW! Boulder Startup Week is proud to partner with Technical Integrity as our Development Track sponsor for #BSW19 and we thank you for your continued, and unwavering, support! 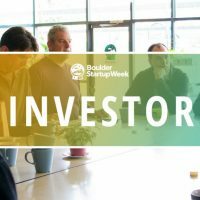 Heading into their 9th year of sponsoring BSW, Technical Integrity is a mainstay of the Boulder startup ecosystem. Founded by Dave and Jaelin Mayer in 2010, Technical Integrity set out to drive an ethical revolution in the recruiting realm. They live by their namesake of having integrity in everything they do— as passionate advocates for ethnic and gender diversity in tech, they are a 50% women-owned company. With their recent acquisition of Find My Flock’s recruiting practice, Technical Integrity will continue their mission of diversity and inclusion within the technology industry. You can check out the official press release here. ‘A culture-first, community-based approach to team building’ in startups means taking a more personalized approached as a recruiter. Technical Integrity takes the time to understand the true values and needs of companies to ensure that they build effective, lasting teams. 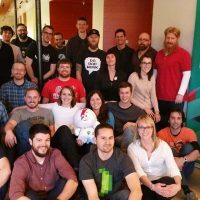 This comprehensive approach of considering the culture, mission and values of all those involved is why Technical Integrity is the first, and only, stop for many startup companies in the Boulder community. Their successes include several hundred hires in Boulder and Denver, and dozens of hires for Foundry Group and Techstars companies alone. Historically, they have filled an above industry average 25 – 30 percent of full-time technical roles with candidates from underrepresented populations. By 2020, they aim to fill at least half of all technical roles with persons from underserved communities. It is through this continued commitment to the Boulder community that TI has donated countless hours of volunteer work in the Boulder area, as well as more than $60K of charitable giving. To learn more about Technical Integrity, please visit their blog. Below are a few posts that tell more of their story…. Thank you to Technical Integrity for their continued support of Boulder Startup Week! April 11 BSW Video Update! 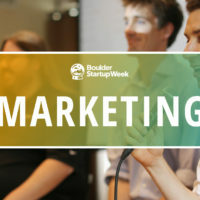 Welcome Back Google as a Boulder Startup Week Sponsor! Welcome Back Pivotal as a Boulder Startup Week Sponsor!